Ice Cube looks on during the BIG3 Championship on August 24, 2018 in Brooklyn, New York. Well, it will be, thanks to Ice Cube. Many of us remember sitting down in front of the TV and watching stop-motion animated bloody fights between celebrities as part of our wildest fantasies. It gave us the opportunity to see what would happen if celebrity beefs were transported to the ring in Pay-Per-View style. 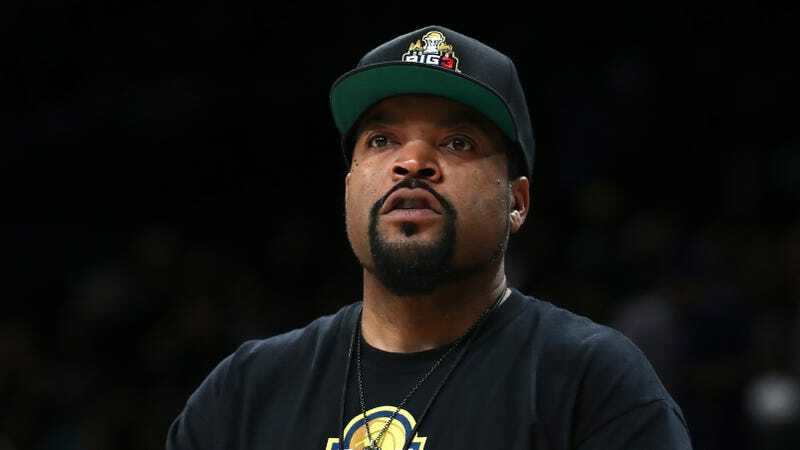 According to Deadline, MTV Studios will be bringing back the popular and bloody animated series, with Ice Cube set to star and executive produce through his company, Cube Vision. Series creator Eric Fogel will return to his baby as executive producer. “Happy to once again be working with Viacom and MTV on a fan favorite like Celebrity Deathmatch and to continue our success together,” Ice Cube said. Ice Cube will host, but will his animated version ever get inside the ring? Has he ever? The legendary gangsta rapper has pivoted over to the family man identity in recent years, so maybe he’s trying to up his street cred again? Who knows, but I know one thing: nostalgia is all up and through this decision. Celebrity Deathmatch premiered in 1998 and was subsequently canceled in 2002. A revival premiered on MTV2 in 2006 and lasted for two seasons. There was a failed attempt to reboot it for MTV2 in 2015, but Fogel confirmed it actually hadn’t been picked up for a pilot on Twitter. This is a good time to revive the show since social media wasn’t around during Celebrity Deathmatch’s origin. Imagine the celebrity beefs that could literally be squashed with a Claymation clash. Twitter fingers could turn to broken fingers—in the safety of fictional television, of course. Cube and company will be shopping the reimagined series to air on premium and streaming networks in 2019.